FASHION DOLL DELIGHTFUL DOLLHOUSE | American Plastic Toys Inc. 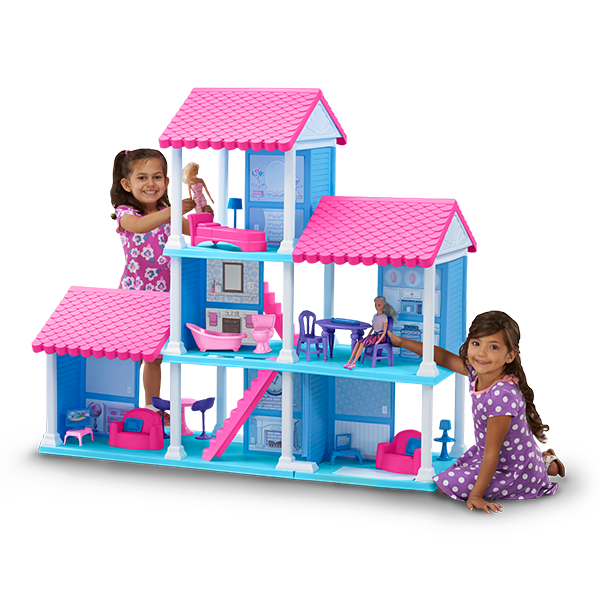 Break out the dolls and get ready to play house because kids will love this charming dollhouse! This three-story home has an open-air design, allowing for play from all sides. It features three flexible floor plans and 25 household items that add to the fun and keep kids’ imaginations flowing.